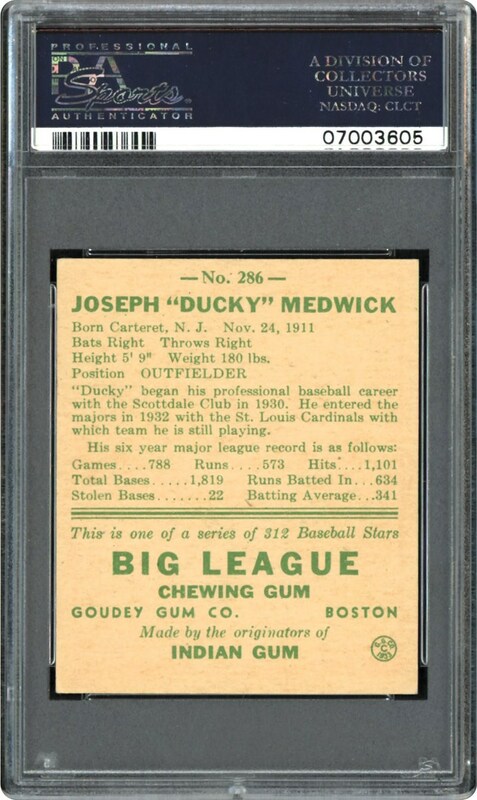 A sensational PSA NM/MT 8 Ducky Medwick offering, this world-class 1938 Goudey shares the distinction with seven other examples as the finest of its kind! Incredibly, baseball's modern era has only seen three different Triple Crown winners in the National League, with the last player to accomplish this feat being St. Louis Cardinals Hall of Fame outfielder Joe "Ducky" Medwick. The black text "anecdotes", relatively clean surfaces and blistering sharp corners are additional superlatives that more than offset a diminutive soiling spot situated along the upper right border. 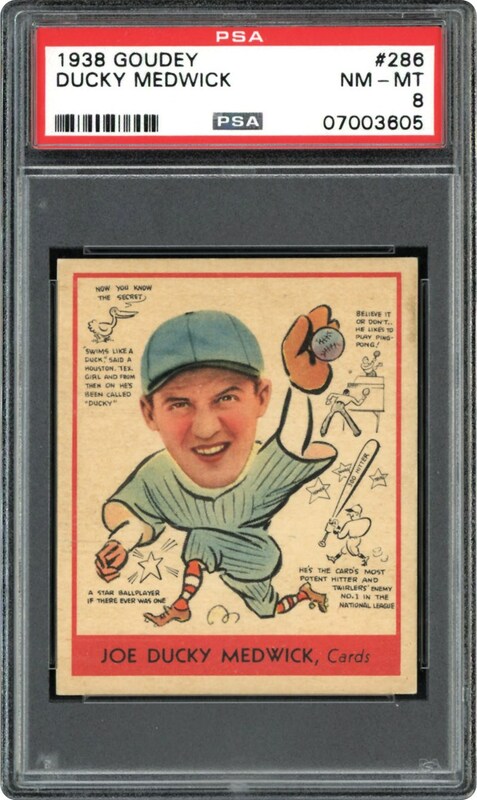 A breathtaking cardboard treasure, it merits serious attention from any advanced Hall of Fame or vintage set collector!